Young and Grumpy is a full service production studio in Bushwick, NY. 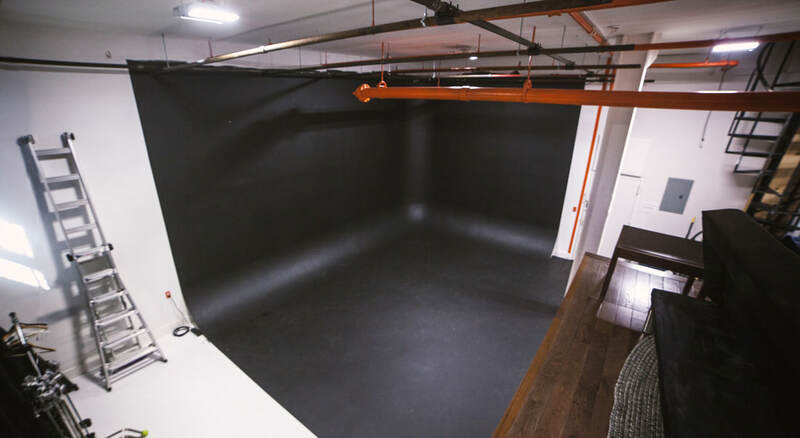 Our studio is a 750 sqft space with full bathroom, raised producer/client area, and outdoor patio. The studio consists of a 15x20 corner cyc and 14 ft ceilings. There is a 16x30ft grid overhead for all lighting and rigging needs. It is basement level so it stays cool in the summer and warm in the winter. Access is through a freight elevator or single flight of stairs. Coffee, WIFI, and dog attention are all included in rental cost. Young and Grumpy was started by Camille Workman and Rob Silcox. After months of grinding floors, plastering, and rigging pipe, the studio opened for business in Spring of 2018. Our goal is to be the place for artists and creators to get high end production value at a price that we all can afford. We welcome any budget and will do whatever we can to make it work. From full service production to gear rentals to just a space to do your thing, Young and Grumpy's got you.